Especially those little challenges, ahem…. opportunities that come across our path. Look, I’m all for challenges. They help us grow and expand into bigger and better versions of ourselves. IF we find a way to handle them in a way that’s healthy. But all too often, we can come across these obstacles in our lives, and they take hold like nobody’s business. We can find ourselves procrastinating, avoiding doing the things we want, saying yes to everything, and feeling stressed, frustrated, and plain old let down. And sometimes, we’ll get an emotional hit that we can’t let go of. 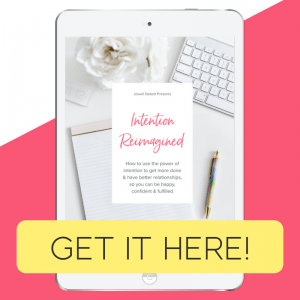 I’m talking about those instances where we got hurt or screwed up, and we keep replaying it in our heads on a never-ending, self-destructive loop. It drains us physically and mentally. And it certainly doesn’t let us reach our goals any faster. And worst of all, it can affect the way we show up with our coworkers, friends and family. I mean, how much patience do you have for others when you’re feeling miserable yourself? If you’re like me, not that much….. The great news is, there’s an incredibly fast and easy way to keep unpleasant emotions from stopping you in your path. And that my friend, is TAPPING. 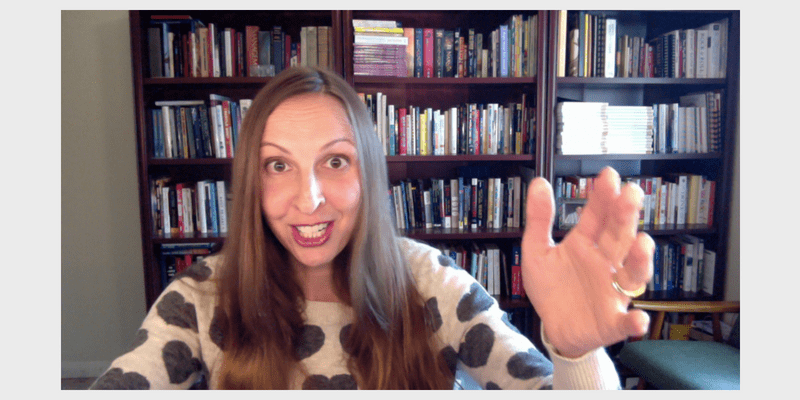 What is Tapping / EFT? 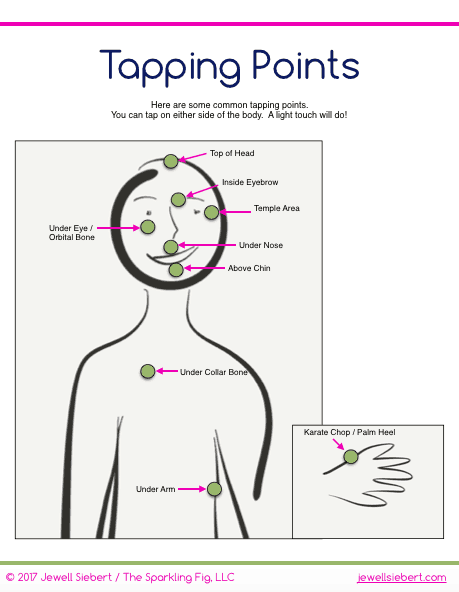 Tapping (otherwise known as Emotional Freedom Techniques) is an acupressure technique where you tap on points along the energy meridians (kind of like acupuncture, but without the needles). It actually lowers the stress hormones in your body and reduces the fight or flight response. So you know how when you think about something that stresses you out, and you have this reaction where your heart starts beating faster, you get all sweaty, and you can’t think clearly? Yeah, tapping makes that stop. Ok, so we’ve interrupted the fight or flight response triggered by stress. Now what? Well, for starters, you feel immediate relief, and get back to an even keel. You can think more clearly, more rationally, and see the big picture. Meaning, you’re in a better place to figure out your situation, and make decisions with more focus. In a nutshell, you’re much more effective. AND (this is the coolest) – since you’re calming your stress hormones while thinking the “negative” thoughts, your brain creates new neural pathways, allowing you to think these things without triggering the same reactions. When is a Good Time to Use Tapping? You can do more in-depth tapping sessions (10-30 minutes) where you’re handling bigger issues (like phobias, confidence issues, emotional hurts). Or you can just do it for a minute or so when you’re feeling frustrated or stressed by something small. I’ve done tapping sessions with folks for everything from dealing with procrastination, to anger issues, to fear of flying. Shoot, me personally, I use it regularly to get over anger, stop comparison with others, tamp down frustration over silly drivers on the road, and become more confident. EFT / Tapping is even great for kids. My three year old daughter sometimes taps with me, and it’s so cool to see the difference before and after. Ready to give tapping a go for yourself? I find it helpful to work with someone else for my bigger issues, but it’s also easy to do it on your own whenever the stress monster is at your door. Here’s a picture I made with some of the common tapping points (there are different techniques and styles, but these are the ones I typically use on myself and with others). You just tap on the points while saying the things you’re experiencing. No filter. That means you say all the “negative” things you’re experiencing. Yep, in tapping, start with the negative. Then when your stress is down to a manageable level, you can turn it around and start tapping on the things you’d prefer to feel. Oh, and the one thing I always tell people is that you don’t want to hurt yourself while tapping – a light touch will do. Believe me, there’s no correlation between the force of the tap with the results you get. Tapping should feel soothing, not painful. Haha! Check out the video above for a full introduction into getting started with tapping. I’m pretty sure you’re going to love it!